Before launching into some of the details of Taylor’s life and works I have summarised some of the key facts of his life. 1 John was born in Norwich, Norfolk, far from any mining district. 2.Became a mine manger at the amazingly young age of 19, without any previous mining experience. 3. His spectacular success as manger of Wheal Freindship, near Tavistock, formed the basis of his career. 4. He turned the Consolidated mine into the most largest copper mine in Cornwall. 5. Taylor built the Tavistock Canal and Redruth and Chacewater Railway. 6. He owned mines in Cornwall, Devon, Wales, Derbyshire, Ireland, Cumbria, Lancashire, California, Mexico and Spain. 7. 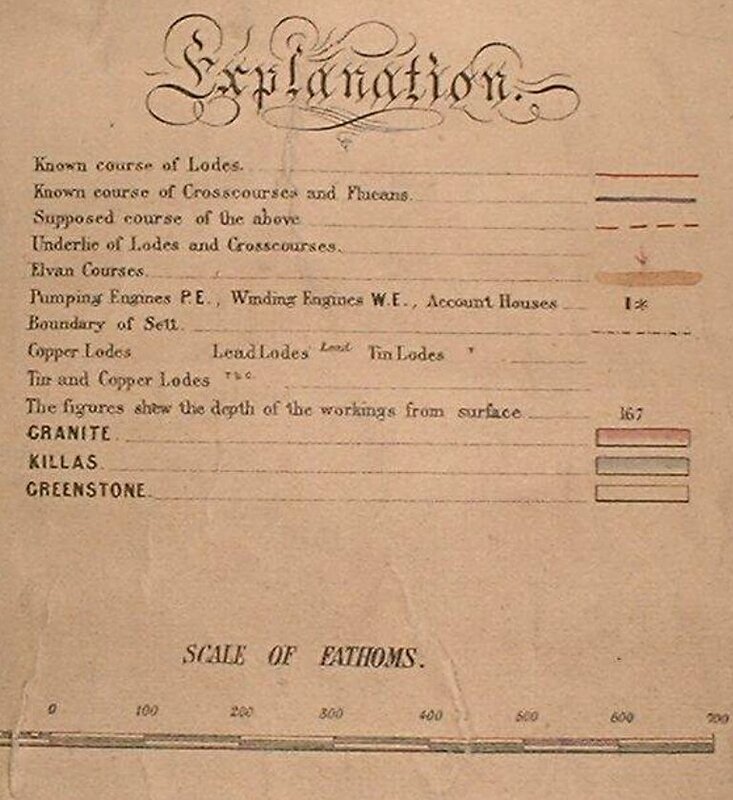 His success was built on introducing the ‘Cornish System’ of management and Cornish Mining technology in his mines. 8. He played an important role in the formation of several important Associations, including the University College London and The British Association for the Advancement of science. 9. He worked closely with Charles Babbage. 10. The company he founded closed in 1969. These 10 key facts will be starting points to explore Taylor’s life story over the next few posts. Along the way I hope to find some links with William West, the last Great Cornish Engineer. John Taylor was one of the most remarkable characters involved in the British Mining industry. 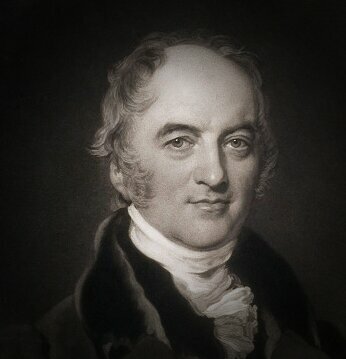 He is the subject of my next Trevithick Society talk, and the next series of posts on this blog will part of my preparations for that presentation. So if you want to know more about this amazing Victorian, follow along and enjoy the journey. 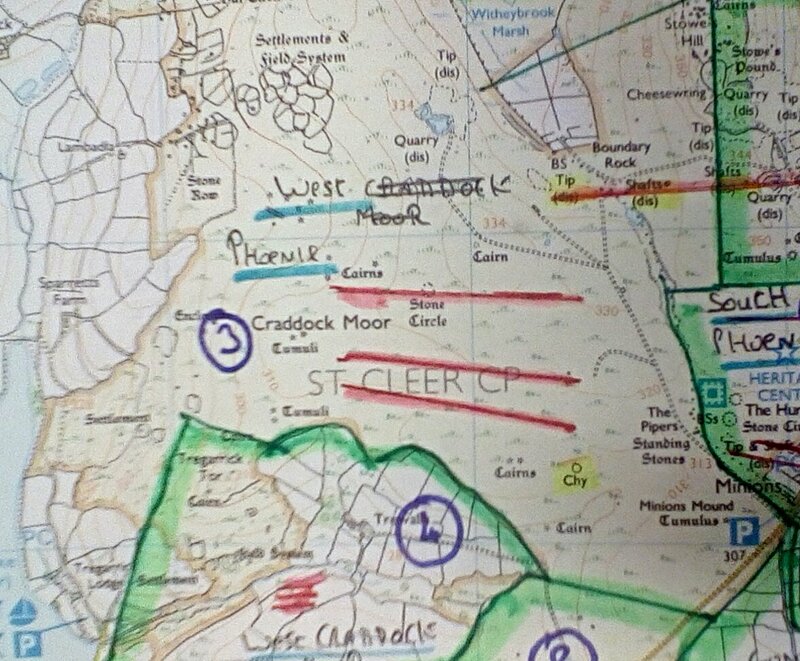 A chance to present Brenton Symons’ cartography to the Caradon Geology group was great opportunity to get some feedback on its geology. Normally my audience are Cornish mining history experts, so discussions on rocks made a change to delving into the details of engine houses. In attempting to understand the strength and weakness of map my focus was on its intended customers; the potential mine investors. My talk at Liskeard brought to light an alternative view point however, that is the current buyers of geological maps. No longer is it the extraction of wealth beneath the ground that attracts geological interests but the ability to build on its surface. Instead of mining investors there are civil engineers; housing estates, supermarkets, wind turbines and road improvements have replaced shafts, stopes and adits. 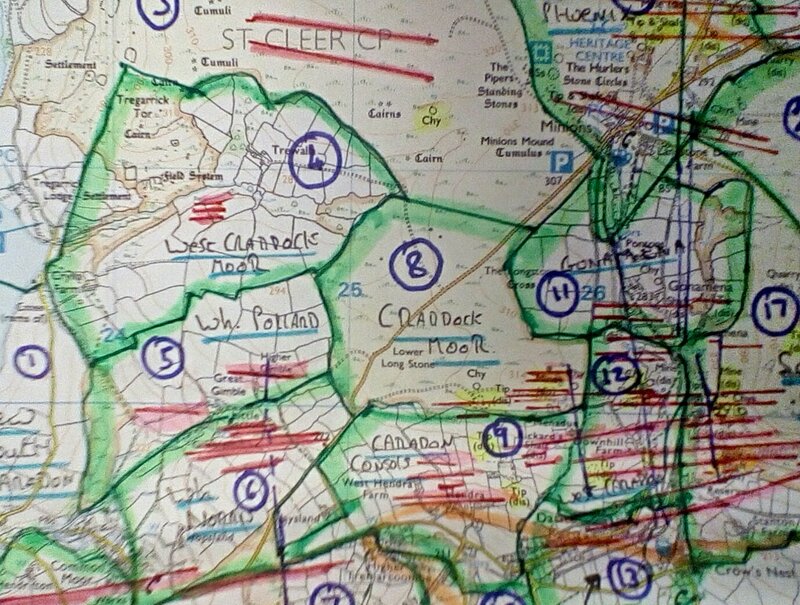 Now that the talk is complete, I have launched a new page dedicated to the map, a page that includes an index to my posts on the Liskeard map. Click here to view. Time to move on to the next presentation. A presentation about a genius in the British Mining industry who died in the year that Brenton Symons published his map,1863. The genius that was John Taylor will be the topic of the next series of blogs. These images have been grabbed with my small Kindle Fire in ‘iffy’ lighting, and therefore they are not the best quality. 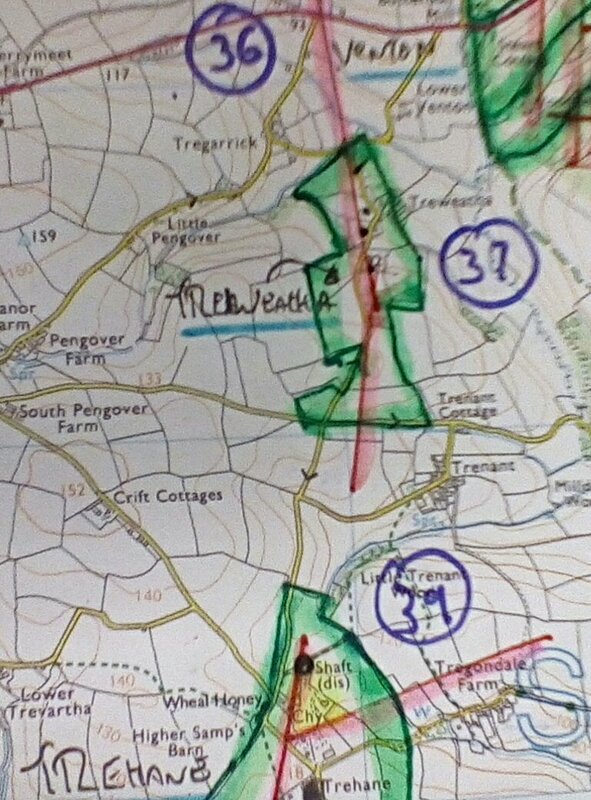 Despite of this limitation they should be of interest to anyone attempting to relate the Victorian mines with the modern landscape of the Liskeard Area in Cornwall. The map extracts show Brenton Symons’ 1863 geological map overlayed on a modern OS 1:25000 map. This overlay was produced as part of my research into William West, the last great Cornish Engineer, and the artwork is not of the neatest quality as it was never intended for the final product to be published. 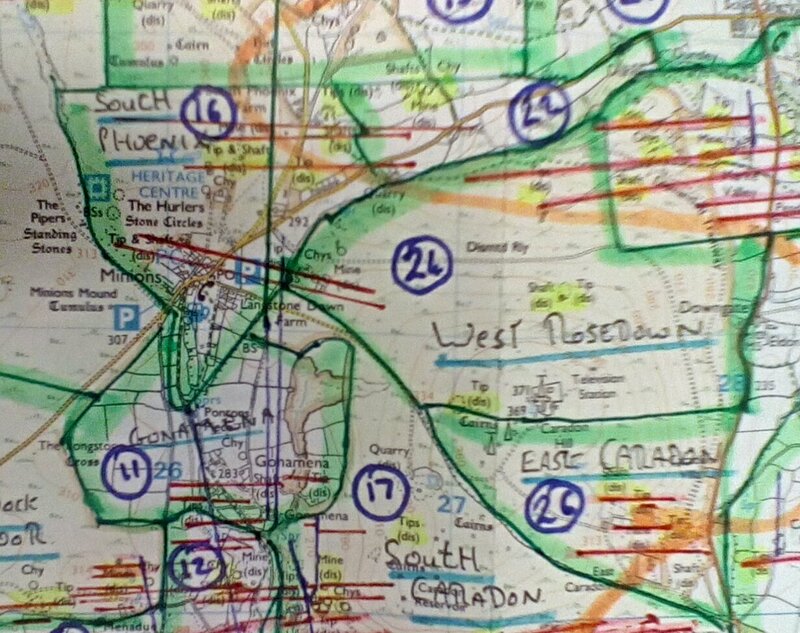 However, the information displayed is far too useful to remain hidden away in the bottom of my map drawers. 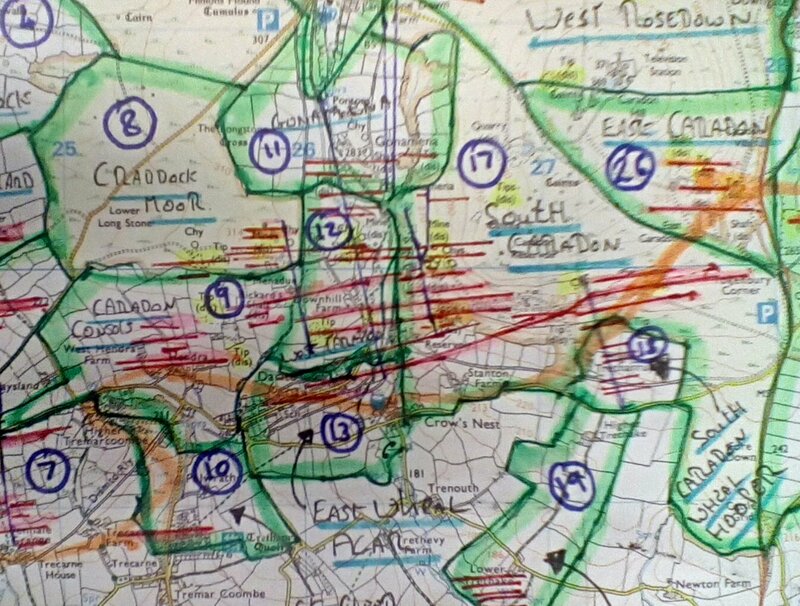 Lodes, cross-courses, elvans and sett boundaries have been transferred, but due to scale restrictions I have not drawn on the mines’ surface buildings. 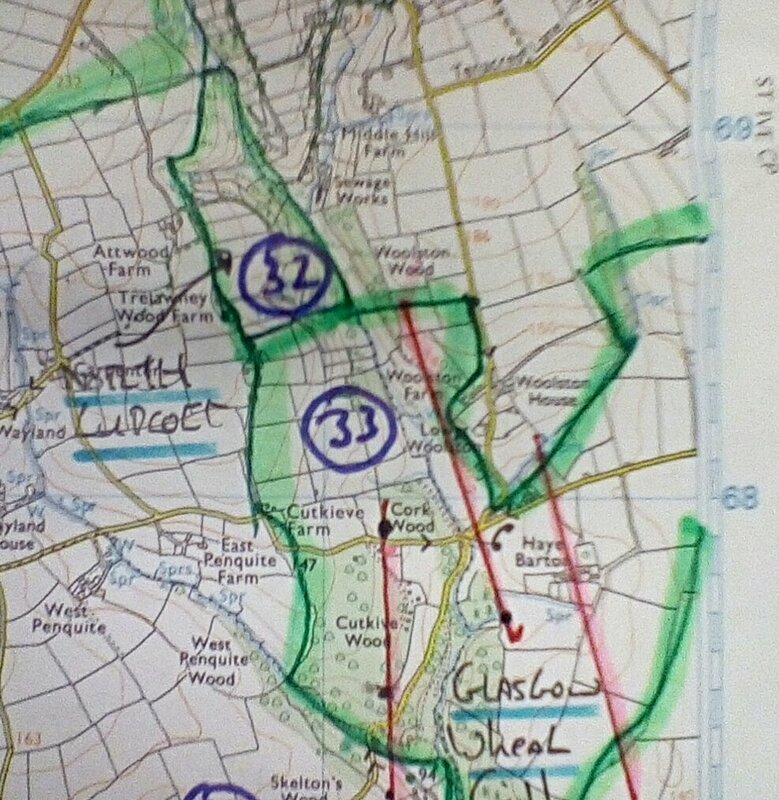 The map was drawn by making use of the field boundaries that have remained in place between 1863 and 2014. In doing so the discrepancies between map datums have been removed. 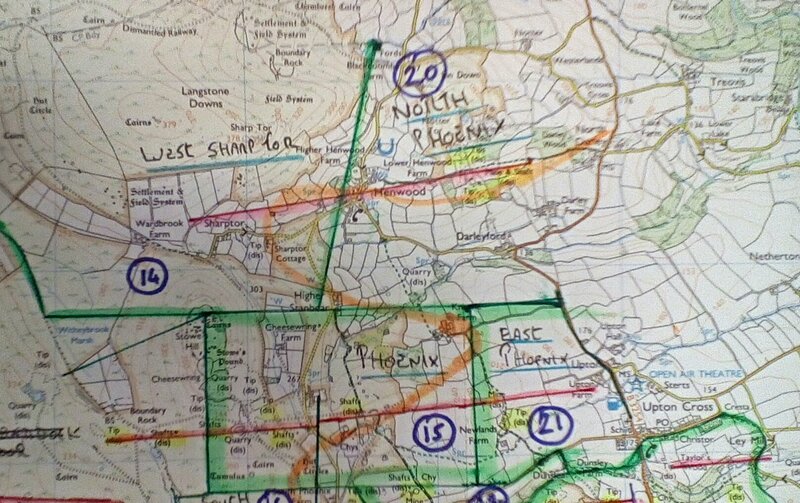 For those wanting a closer poke around the map a complete overlay will be on display at the Caradon Geology group talk at Liskeard, February 2015. Once my laptop is re-united with my scanner, some better quality images will be obtained for this blog. 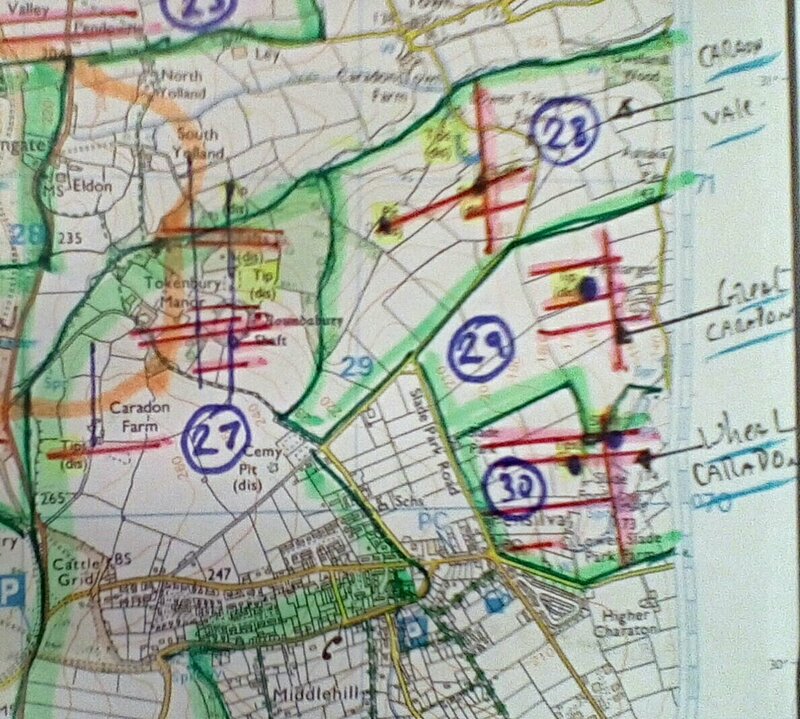 As the Caradon Geology Group talk draws nearer, this series of postings about Brenton Symon’s map is almost complete. Just a few loose ends to tie up, and then it will be back to the realm of Cornish Engineers. 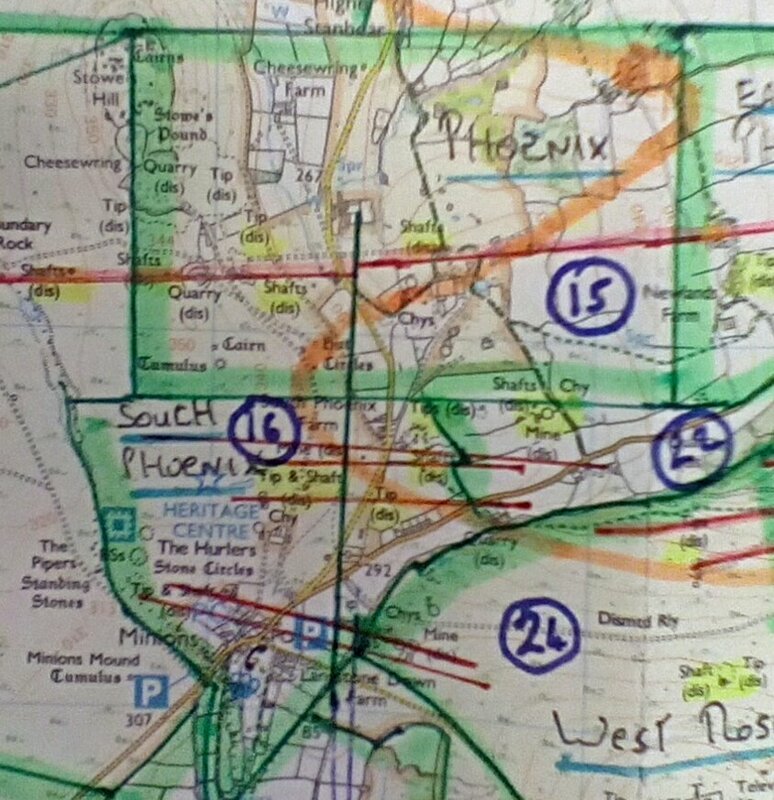 With of course, some dives into rabbit holes of maps along the way. To see Brenton Symons’ map, download a copy of my Kindle Book of the Liskeard Mining District of 1863 from Amazon, or ask for a CD ROM copy from the Book Seller at Liskeard.